2019 MUVE: HG: Why am I talking about MUVEs when I am really talking about virtual worlds? I am really talking about virtual worlds? Researchers use the term "MUVE" to stand for "Multi-User Virtual Environment." We virtual worlders use the term "virtual world" to mean the same thing. These are ingroup terms for different ingroups. I want this blog to share information between these groups, so I speak the language of both groups. Here I report on some of the work of the researchers. 2019 EDU: Why a reading assignment is like a treasure hunt. And why it is not. is like a treasure hunt. And why it is not. Consideration of similarities and differences between reading assignments and treasure hunts suggests strategies to manage reading assignments so as to give them some of the natural attractions of treasure hunts. Reading: Students are to find the important things. Treasure hunt: People are to find things deemed important by the organizers. Reading: Students can develop skills in finding important things. Reading: Students can develop skills in organizing their findings for easy memory. Do schools teach the skill of selecting the important things in a reading assignment? Do schools teach the skill of organizing important things in a reading assignment? Is there anything to be taught about selecting important things? Could learning that skill be developed in a game? English as a Second Language: ESOL, EFLTreasure hunt. The game of learning!! Photos of some OSCC exhibits, with web links to help you follow up your interests. Links to videos of the sessions will be given when available. The exhibits are expected to remain up till the next OSCC. Someday...we should rework the calendar. Have you noticed how many extra days the calendar has? I don't mean the days with simple, boring numbers. I mean days with special names like New Year's Day or Ground Hog's Day, or Yesterday. Yesterday was celebrated by the Beetles. You can't get more official than that. A collection of news items and links relevant to this blog. Posted on Thursdays. Some often wanted links are recurrent. Others may be retained a few weeks. New items are added daily. 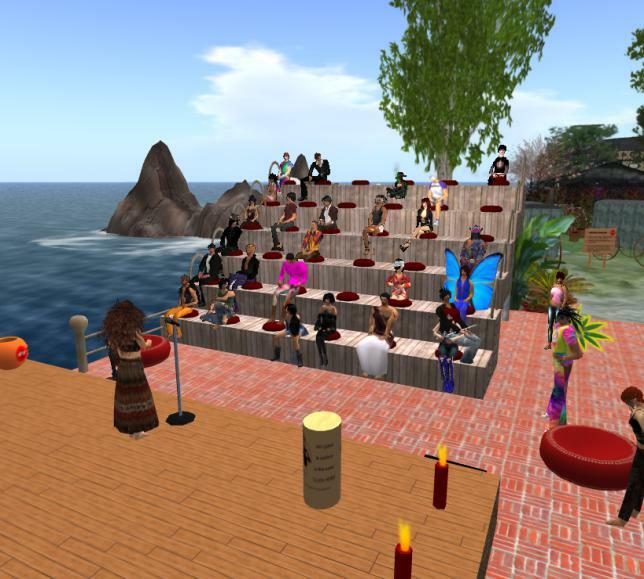 2018 EDU: HG: Mainstreaming Virtual World Learning Colloquium. And some suggestions. We weren't in a conference room. We were comfortably at home. Nevertheless, we were meeting with two dozen colleagues. 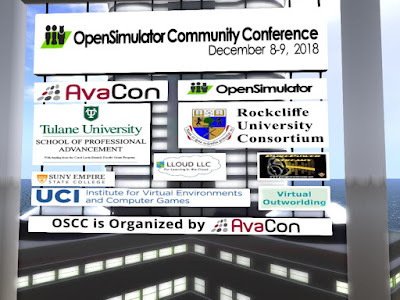 This Colloquium was a week before OSCC (Open Sim Community Conference). How can people afford the time and money go to 2 meetings in a month? Where can you hold a time-spread convention? Summary of articles on social media for the virtual worlds. This article will be updated when new information is available. G+ shutting down in 90 days. And another data leak. Useful persistence means that you can find items after a month. Persistence is not useful without good search support. 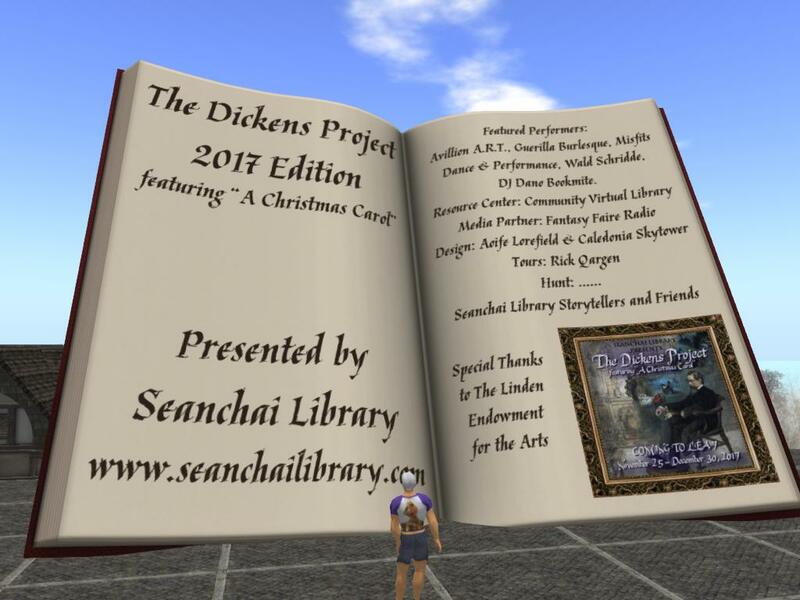 Second Life – The Dickens Project celebrates its sixth year in Second Life with a return to Linden Endowment for the Arts Region 7, where the annual celebration of Charles Dickens' seminal work first was realized in full region form a year ago. 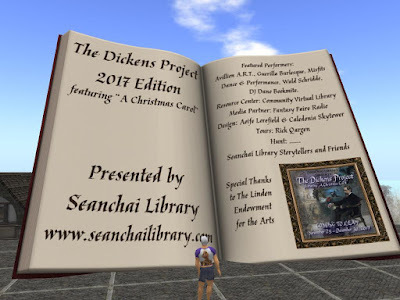 Offering four weeks of exploration, storytelling, music, dance, a new "Urchins in Dickens London" experience, this Second Life holiday tradition will be open to residents November 30th, through December 30th. Your timeline is a string of items you post somewhere. My timeline is a list of links relevant to topics in my blog. It serves as to hold links that I might want to use later. And it is suggested reading for others interested in some of my topics. So my timeline carries some event suggestions. Multi-User Virtual Environment (MUVE), a term used by researchers. Keng City declares its theme. It shows its promotion methods. It offers an example in promotion for other grids (MUVE providers) to consider. Professional educators have long had a connected community. The connections now are faster, more interactive, and more useful. I favor LinkedIn and find good professional contacts there. 2018 PEOPLE : Friendica for social media? Friendica is opensource software for social media communication. The software is free, but somebody has to create a node (on a server) to run the software. Nodes can connect with each other so it is a distributed network. A grid could be part of a node. Friendica is open source software for a distributed social network. 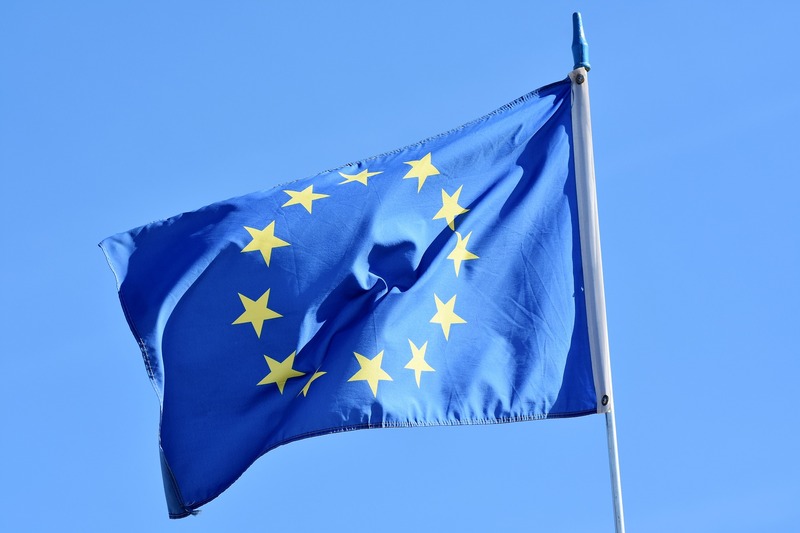 Friendica is part of the democratization of the internet. Thus its operation plan is less familiar than the G+ plan (whatever that was). To become a user you don't go to the Friendica website. You find a Friendica node and register there. You can immediately connect with others registered on your base node. To connect outside of your base node, you need to know the Friendica address. Friendica is part of the Fediverse, "an interconnected and decentralized network of independently operated servers." I created a MeWe group for conversations about this blog. You can post there to suggest content or to discuss an article. 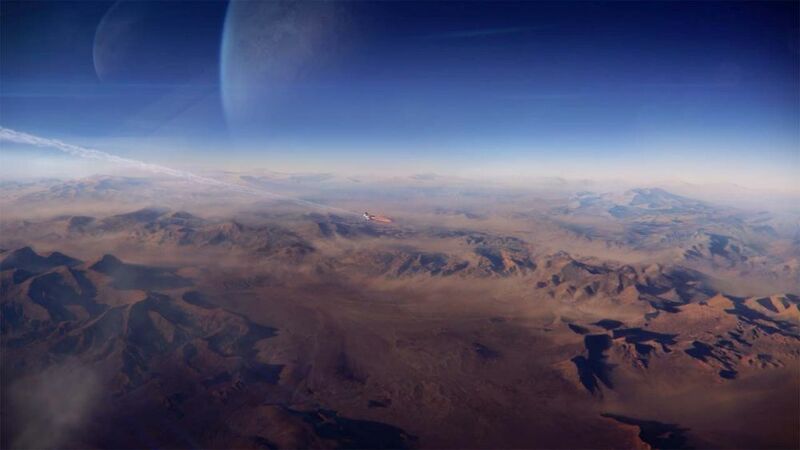 Use this group to suggest content for Virtual Outworlding. Offer to provide an invited article (no pay, just distribution). Offer links with content you think the blog should report on. Ask questions you want answered in the blog. Present issues you think the blog should discuss. Comment on an article in the blog. Post a press release that you want this blog to carry. Describe recurring events you want this blog to mention (on the MUVE update page). Every quest calls for learning. What is learned may be trivial--skills required to succeed in the quest. But a quest can be designed so that the skills are from instructional objectives. Then it is an instructional quest. Wondering how to use that idea? Then your quest is to answer that question. Every game is a quest. Every quest is a game. People learn game skills by playing a game. 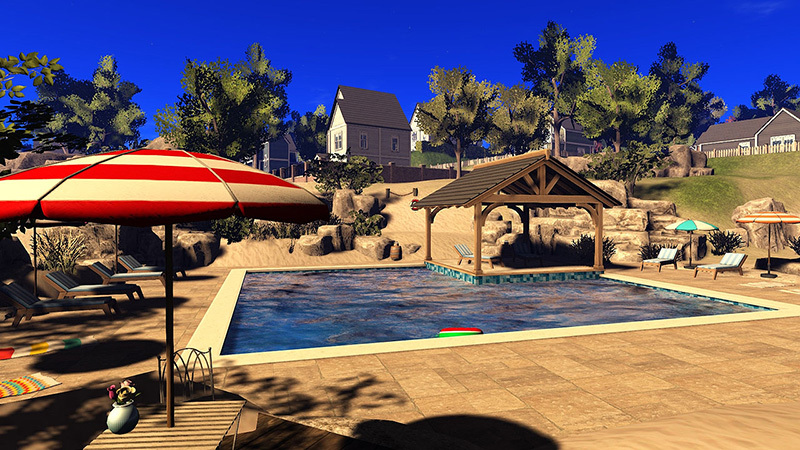 3DWebWorldz offers support for designing games to fit educational objectives. And are available in a browser, so as available as a video on YouTube. The video above shows a short template to illustrate how a quest works. The fit to educational objectives comes from the choice of questions. A collection of news items and links relevant to this blog. This is experimental and, for now, will be posted on Thursdays (so as not to interfere with the existing schedule). Some of the links are often wanted and will be recurrent. Others may be retained a few weeks. New items will be added daily. I have been posting news items relevant to this blog on my G+ timeline. Now I will post them on this MUVE weekly update page. I will update the most recent page daily. And carry some MUVE-related tips, like MUVE means "virtual worlds". G+ communities are not included because G+ is closing. Collaborative blog: Multiple authors publishing on the same theme. Online writer's colony: Writers collaborating online. 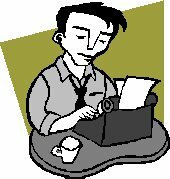 How can I find other writers online? Can we make money on the blog? Will Selby create a collaborative writer's blog? Write Interactively? Don't you need a web page for interaction? No. All effective writing is interaction. Fiction gets a reader to imagine the scene. 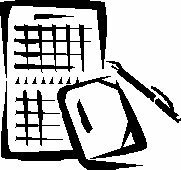 Informative writing gets a reader to want the information before it is given. Instruction gets a reader to figure out part of an answer before the writing delivers it. Stimulate curiosity. That is one of the standard writing devices to get readers to finish what they begin. It is not about what you think. It is about what the reader thinks. And about what you want the reader to think. Don't just talk to them. Listen to them. But they aren't around when you are writing? Then you talk for them. Take the role of the reader. "Sure I talk to myself. I like to talk to someone who understands me." 2018 PEOPLE: Facebook offers much the same things as G+. For those willing to use it. the same services as G+. For those willing to use it. 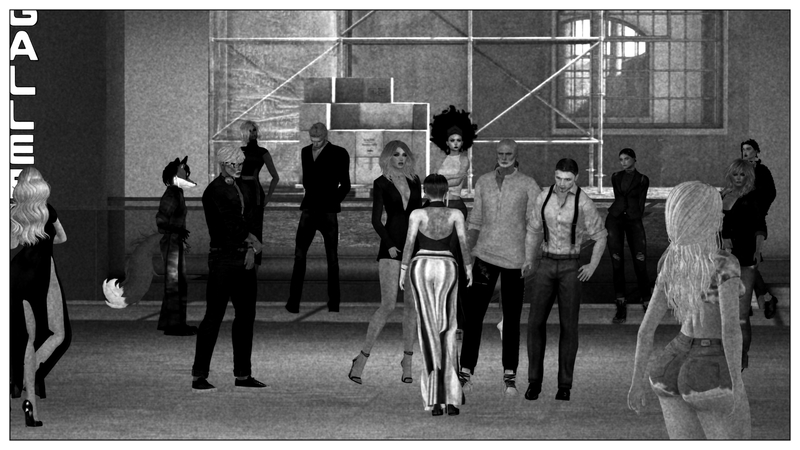 Report on Facebook as social media support to replace G+ for users of OpenSim. Huge audience can access your post. You can join or form groups. Repost buttons on articles make easy reposting. You can use reposting to save articles you may want to share or use. Most of that huge audience is probably not in your target market. Educators and other professionals may not want to be seen in that neighborhood. You may get booted if you use a fake name, especially if it looks fake. Event promotion: Poor to fair, depending on the use of groups. There are about 7,000 languages spoken around the world -- and they all have different sounds, vocabularies and structures. But do they shape the way we think? AvatarFest has been a creative effort which has celebrated the people of Open Sim for years, and AvatarFest 2018 was it's final year. 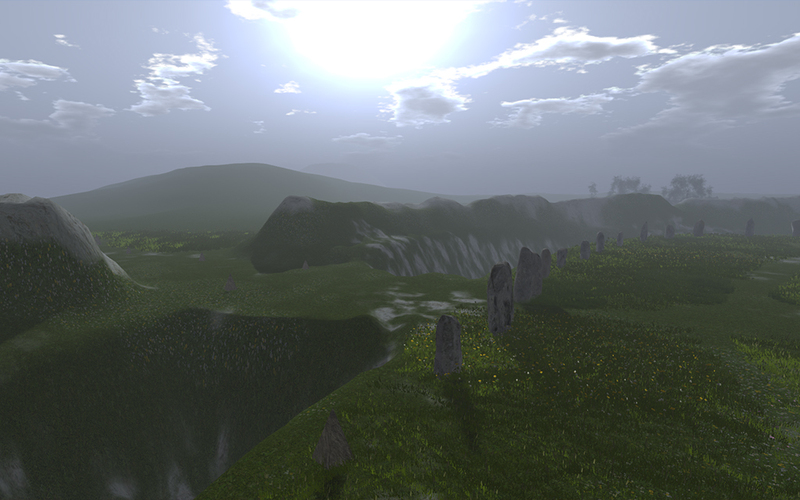 In the spirit of this incredible yearly festival, OpenSim Fest begins with our first festival starting in March 2019. 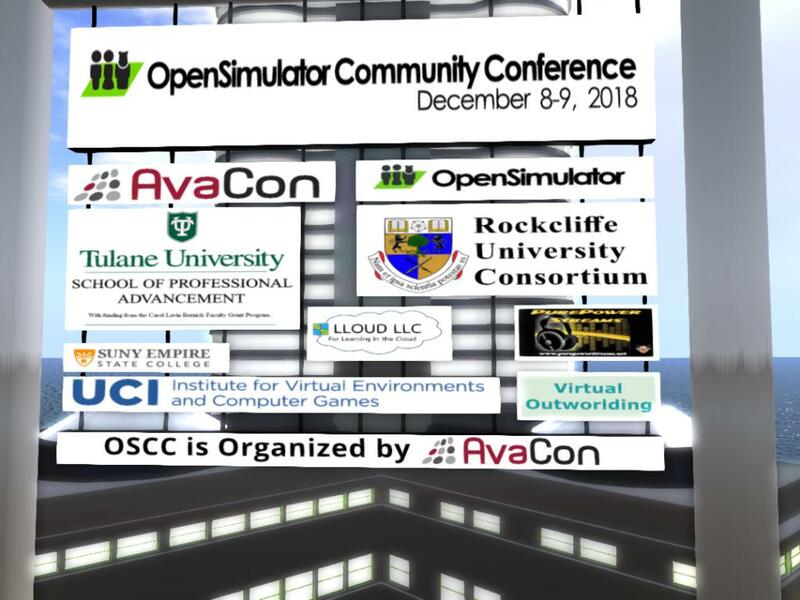 You can come by and visit us at Expo region 5/Booth number 26 at this years OpenSimulator Community Conference (OSCC 2018) if you would like to ask us any questions or sign up as an contributor to Opensim Fest. Now I will post them on my MUVE weekly update page. I will update the recent page daily. Multi-User Virtual Environment, a term used by researchers. 2018 PEOPLE: PROMO: Visit Littlefield Grid's Christmas Island!! Open Now!! Visit Littlefield Grid's Christmas Island!! Open Now!! Promotional video from Littlefield grid, and good promotional features on the landing page.